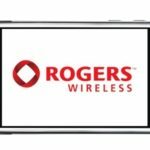 This week, Rogers Wireless has reintroduced their famous $30 6GB data plan, but only for Business Corporate customers. In other words, your account must have a MSD company code on it and the account type must be “Business Corporate” to qualify. Limited time offer available to new and existing customers activating on a 3-year term by March 31st, 2011. Existing customers must renew on a 3-year term. Data plan can be stacked with Small Business Heavy Up Program and Drive Fore 5 program which are based on quota allotment. $45/ 6 GB Rogers Blackberry (BES) plan excludes corporate accounts. These offers will be available until March 31, 2011. If you’re a Business Corporate account with a company MSD code, this is a good time to take advantage of the $30 6GB data plan!